Budems Club live broadcasting from Turkey. Budems Club offers their listeners the very best of the class thematic online radio programs on various kinds of top 40, Electronic and pop music. Many brunches of Turkish music are touched by Budems Club. 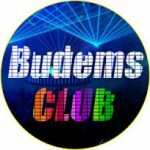 Budems Club is one of the most famous online radio station on Turkey.